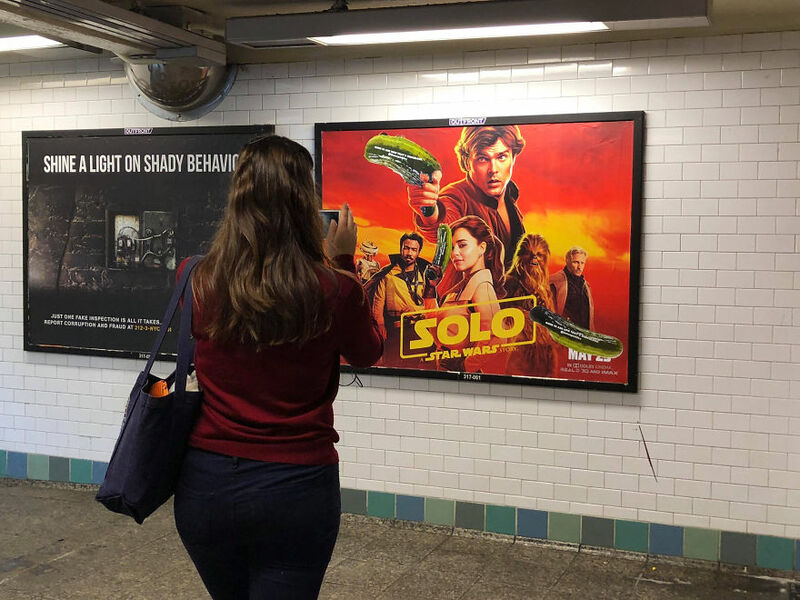 Walk through any train station in New York City and you’re sure to see guns in movie posters and ads. 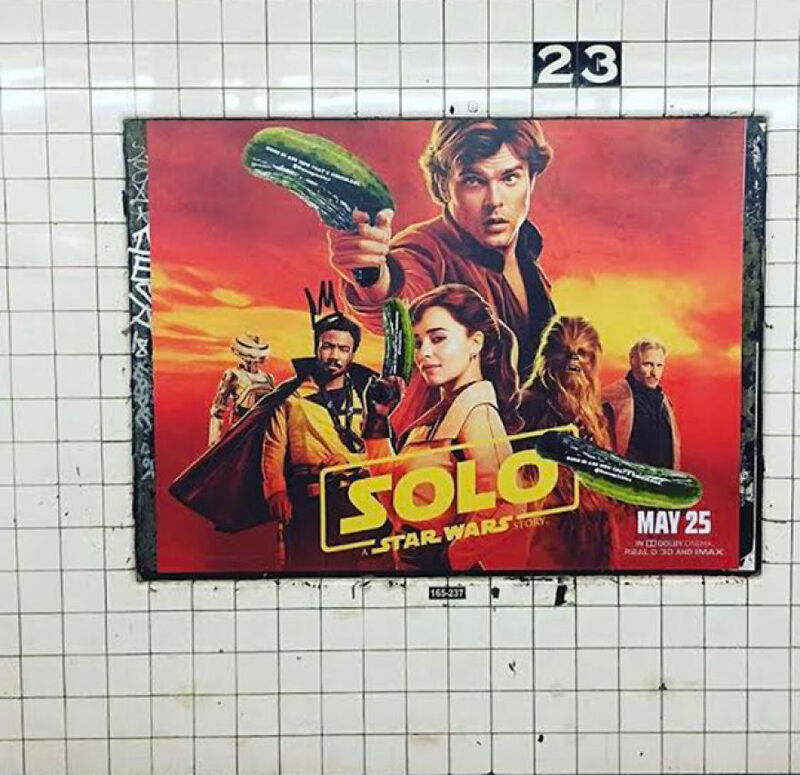 A few anonymous advertising students are taking matters into their own hands by replacing guns with pickles. 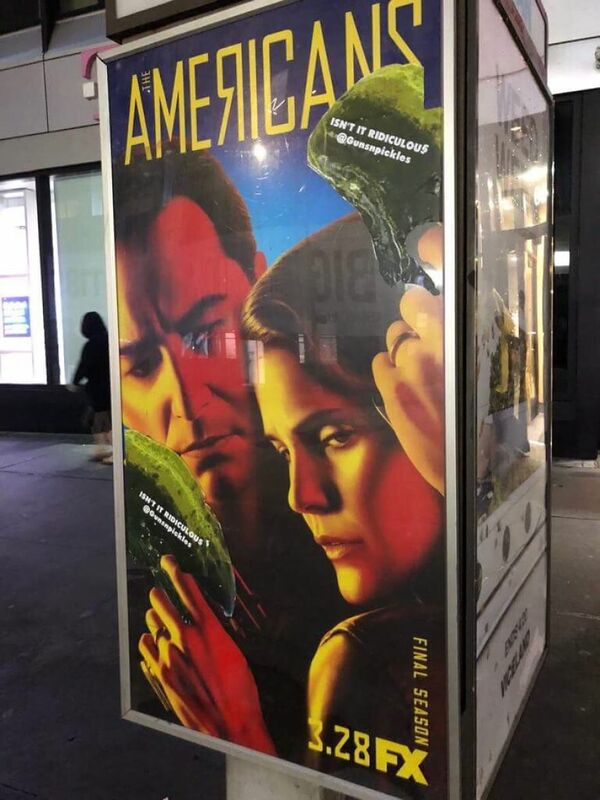 If you’re asking yourself why pickles, read their message that is printed on each pickle: Guns in ads now that’s ridiculous. It’s 2018. Should we still be romanticizing guns? 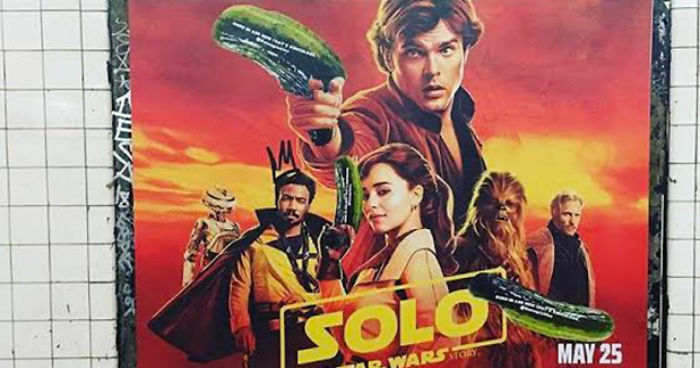 I hope it takes off all over!